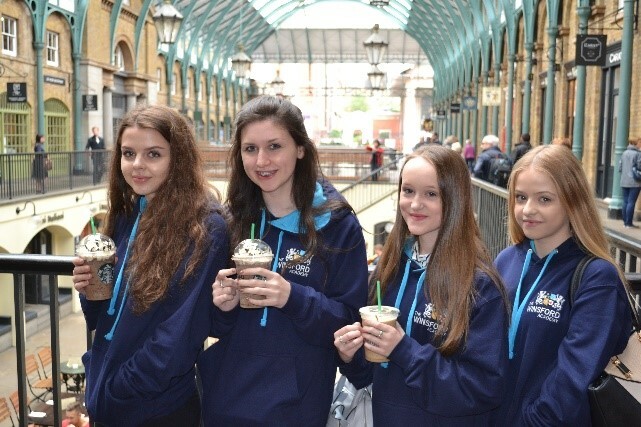 I have had the pleasure of accompanying 33 Performing Arts students to London for two days. 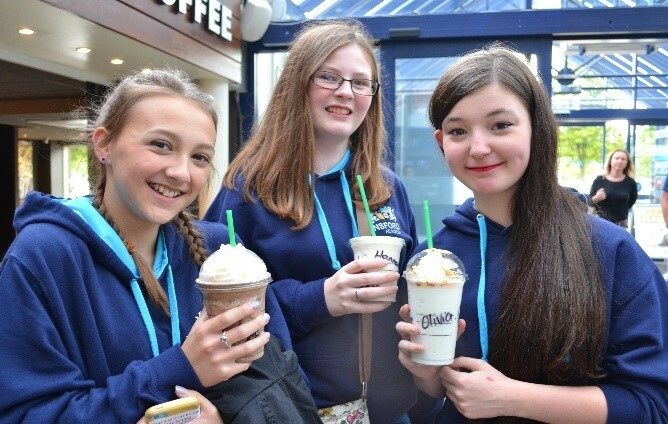 Following a long but comfortable journey to London (and a trip to Starbucks) we parked up at London’s Hard Rock Café for some well-earned American food followed by delicious ice cream. 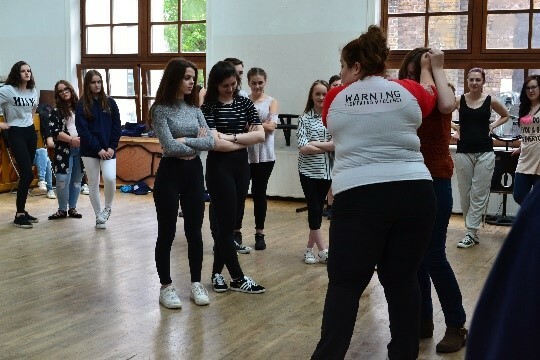 The students were then taken to the West End to watch a live performance of The Lion King. This production was a visual treat from start to finish. Based on the Disney film, it was a dazzling world that exploded with glorious colours, stunning effects and enchanting music. At its heart is the powerful and moving story of Simba – the epic adventure of his journey from wide-eyed cub to his destined role as King of the Pridelands. The students then enjoyed a comfortable night sleep followed by breakfast. The pancakes were a popular choice by all! 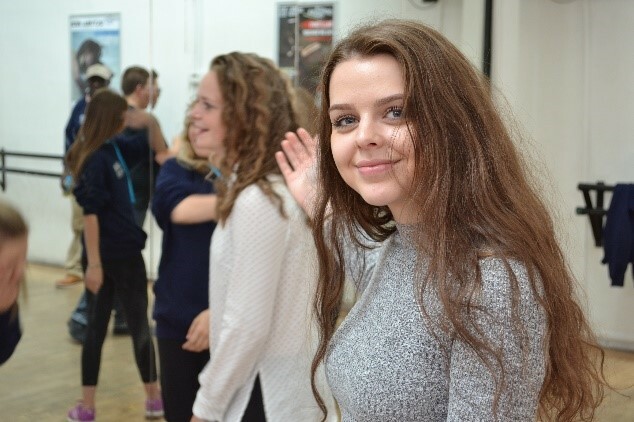 During thesecond day we all enjoyed spending some free time at Covent Gardens (and another trip to Starbucks) before hopping back on the coach to Oxford Street where the students took part in a Stage Combat workshop. 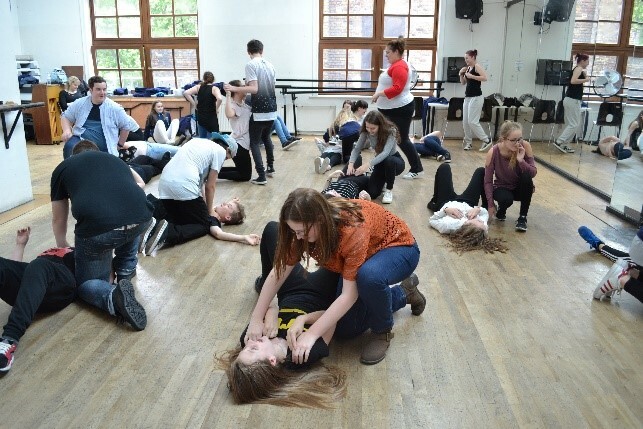 They learnt how to create a convincing fight on stage without harming their opponent! 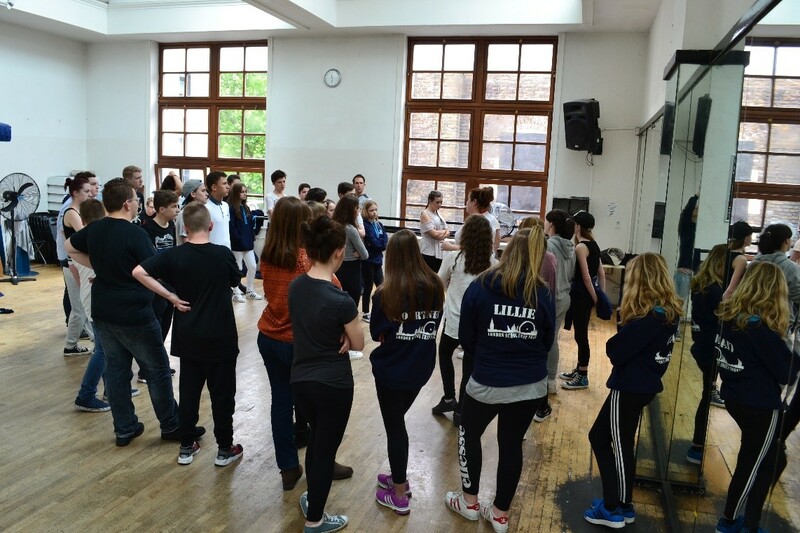 This took place at Dance Work studios where a number of West End stars train, rehearse and attend classes. Luckily there were no injuries and the students enjoyed presenting their perfected fights at the end. 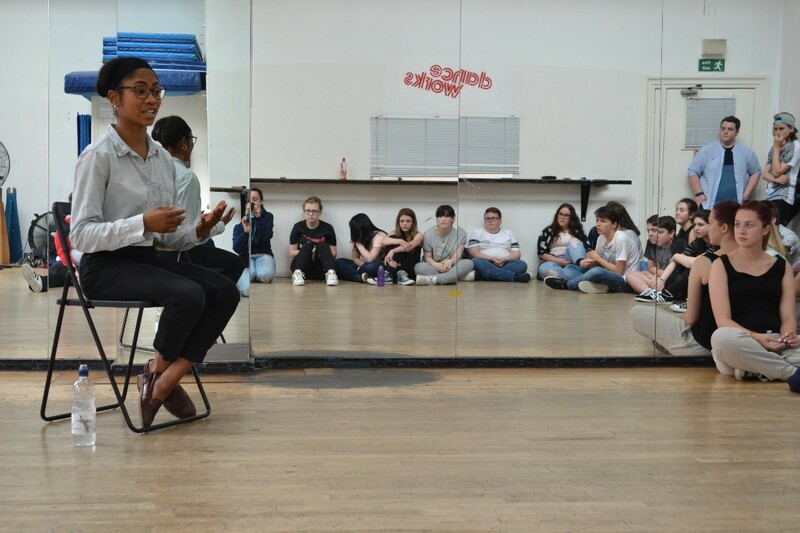 At the end of the workshops the students had the opportunity to interview a West End star. 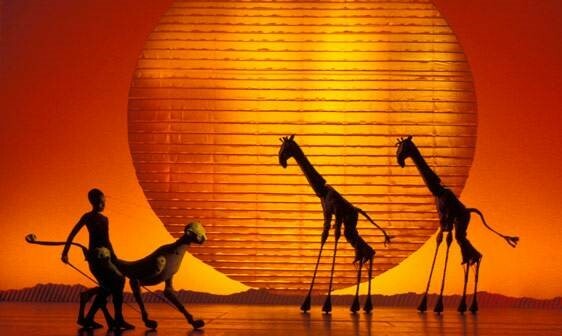 This star just so happened to be cast member from The Lion King, who they have just seen on stage the night before! 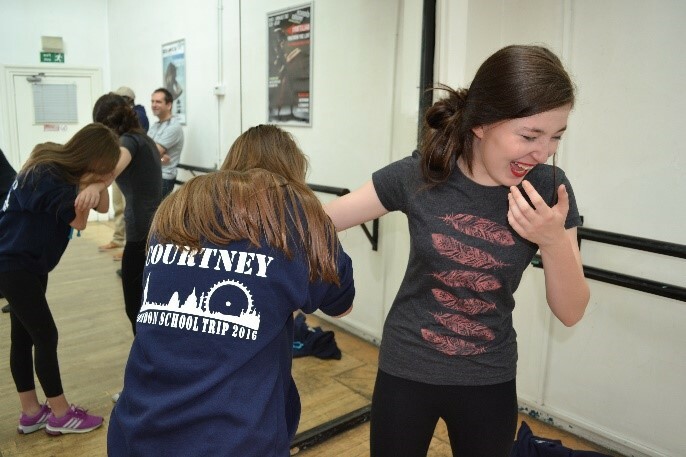 Despite being a little star struck the students were given some great insight into what is it like to be a West End. The advice given was to work on the things that you are not good at because if you can sing, dance and act you make yourself far more employable. She also spoke at great length about being resilient and if you are thinking of pursuing a career in theatre/film/TV to prepare yourself for knock backs as this is the nature of the industry. 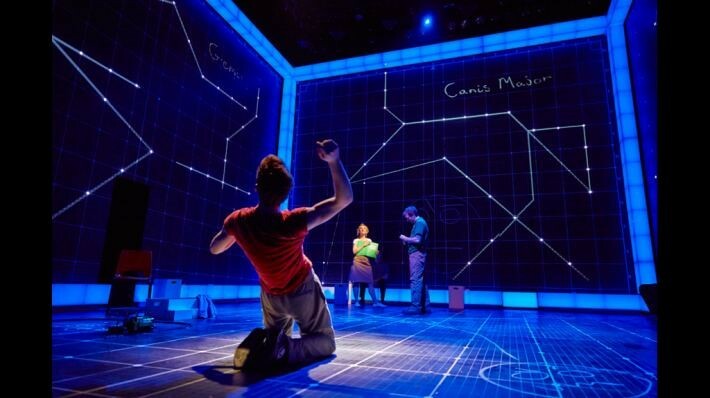 The Curious Incident of the Dog in the Night-time is based on Mark Haddon’s award-winning novel, adapted by Simon Stephens and directed by Marianne Elliott. The production won 7 Olivier Awards in 2013 and 5 Tony awards in 2015 including Best Play. A beautiful, ingenious and deeply-felt production that gave academy students an insight into the mind of an autistic boy called Christopher who is bright, sharp and intelligent. The students were blown away by the interactive set and how it was used to demonstrate and emphasise Christopher’s thoughts and feelings. On the way home the students were in good spirits despite getting up very. 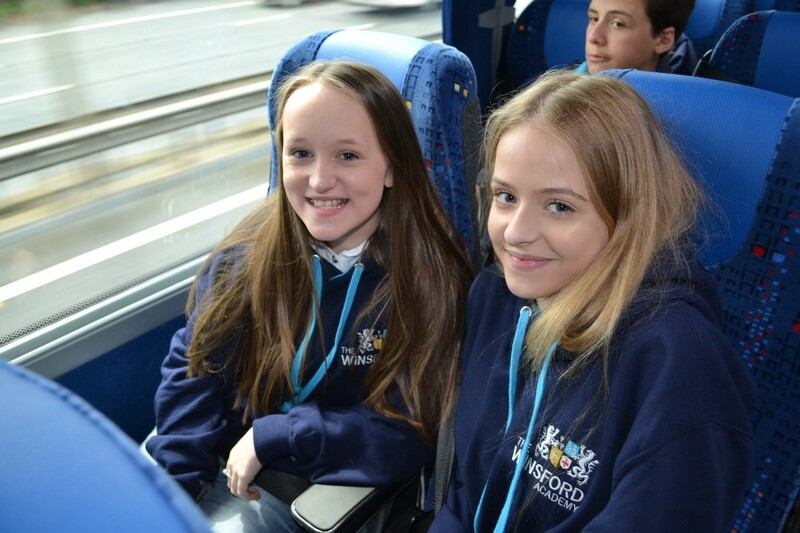 As we entered Winsford the students were singing at the top of their voices before going home for a well-earned rest. I would like to thank all the students for conducting themselves so wonderfully on this trip; theatre etiquette was exemplary from all. I have learnt that Starbucks is without doubt the academy students’ first port-of-call when given free time! It was an absolute pleasure to see the students enjoying themselves in London and participating in exceptional activities.